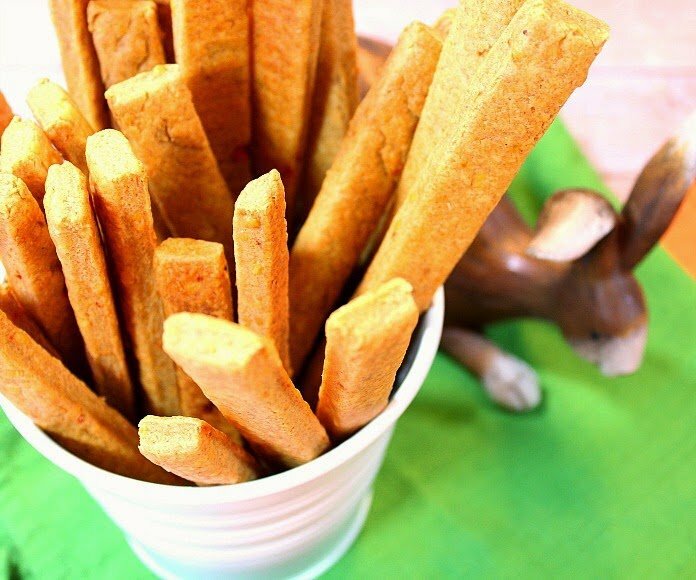 The addition of pimento is a tasty way to update a classic appetizer with these deliciously crunchy, and totally addicting, Pimento Cheese Straws. The theme for this month’s Twelve Loaves baking group is CHEESE! 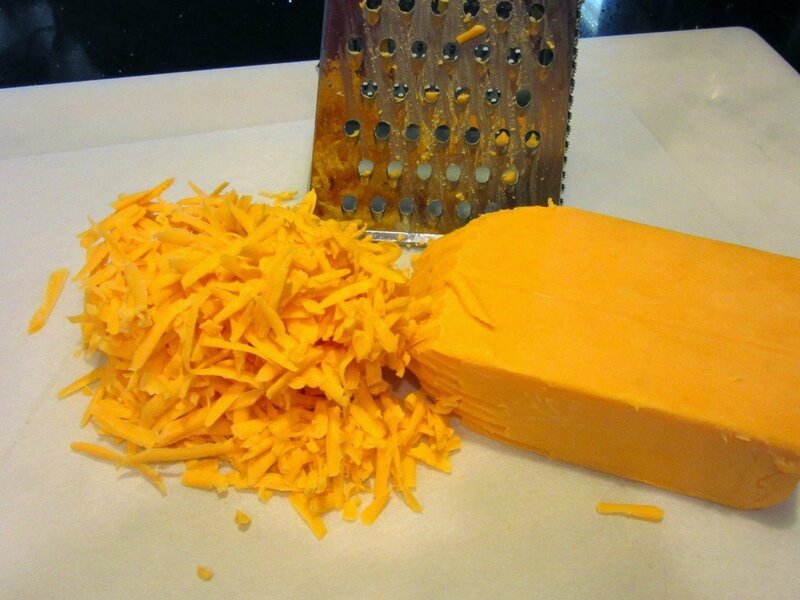 Mmmm, cheese! I don’t know of anyone who doesn’t love it. 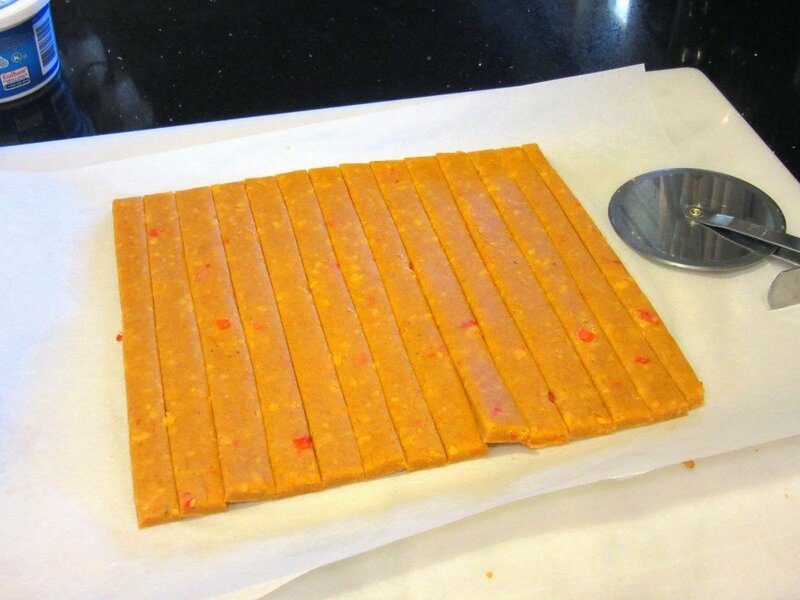 Cheese Straws are a staple in Southern cooking culture, as is pimento cheese. 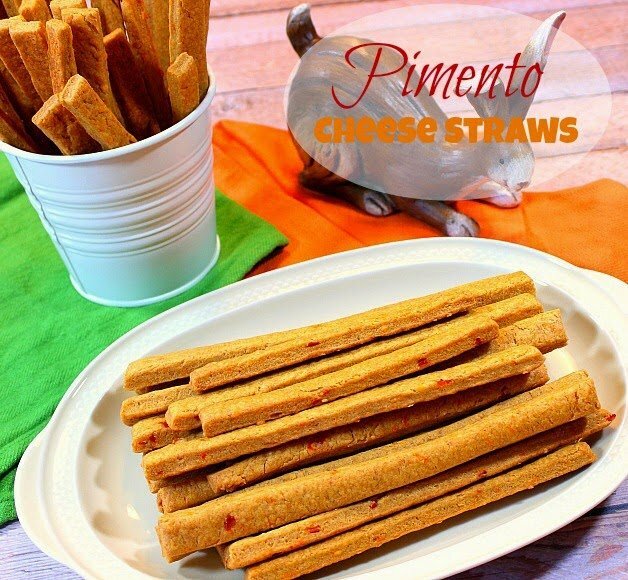 Since I’ve always wanted to make both (I’m a Southern wannabe) but never have, I’ve decided to combine the two classics into one delicious appetizer with these Pimento Cheese Straws. 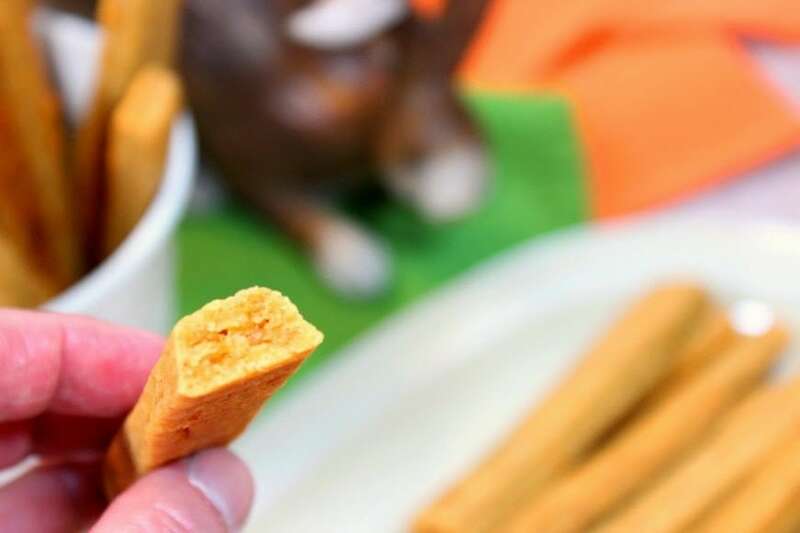 So grab a beverage of your choice, and a crispy crunch cheese straw, and sit for a spell. 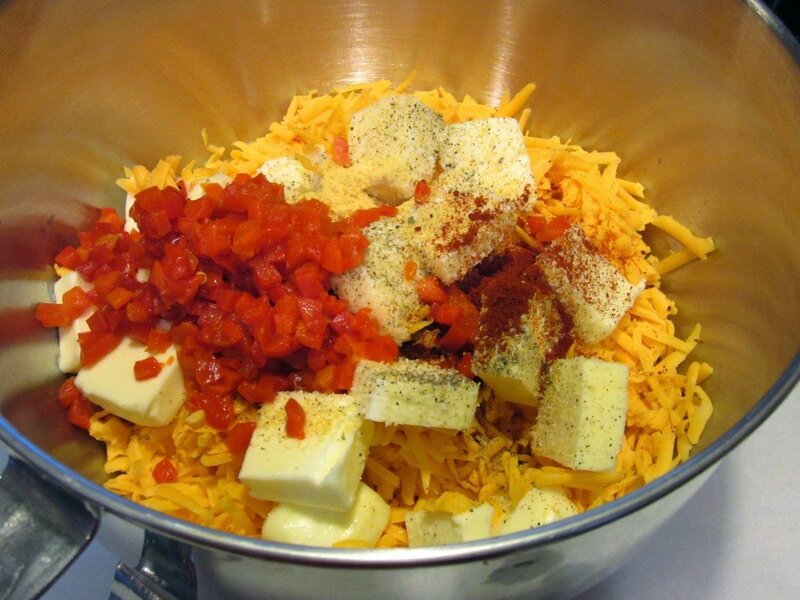 -In a large bowl, using a hand mixer, or the bowl of a stand mixer and using the paddle attachment, blend the softened cheese, butter, salt, pepper, pimentos, mustard, paprika, cayenne and garlic powder. -Add in the flours and slowly blend to fully incorporate the flour into the softened cheese mixture to form a firm dough. 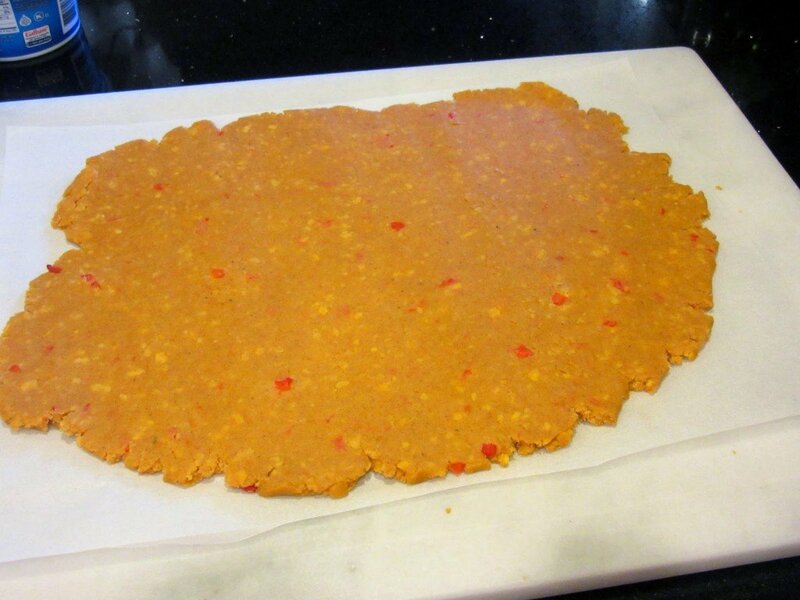 -Roll half of the dough to approximately ¼” thickness on a lightly floured surface. 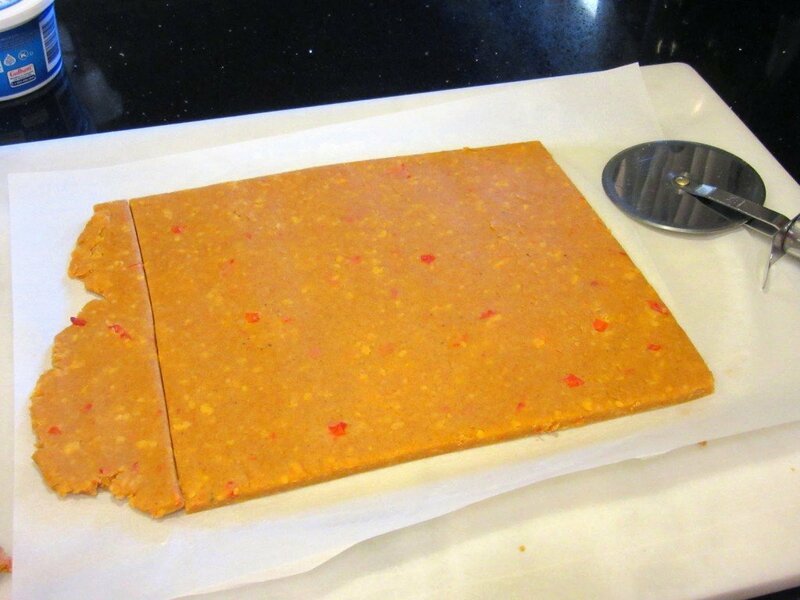 Square the edges of the dough using a pizza cutter or paring knife, saving the scraps to re roll later. Using the pizza cutter or knife cut strips of dough approximately 8″-10″ long. 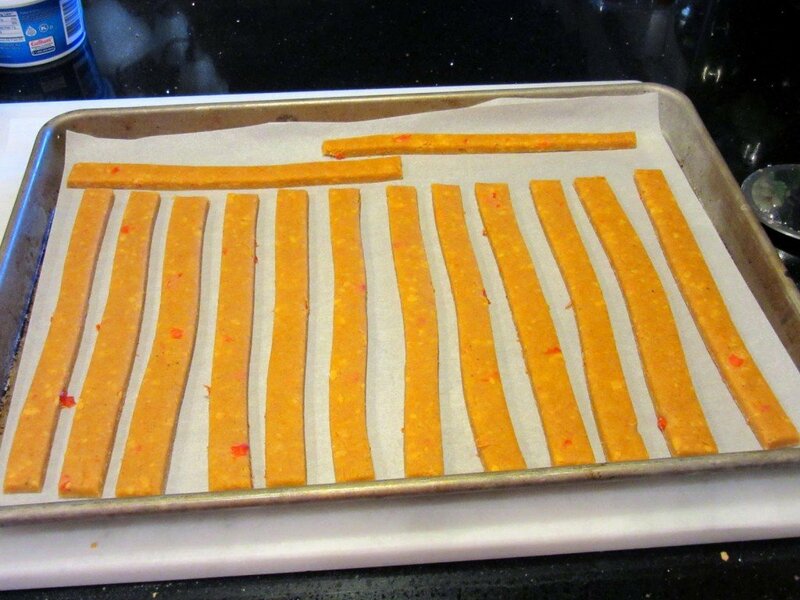 Place the straws on a parchment lined baking sheet making sure to leave a little space between each straw. 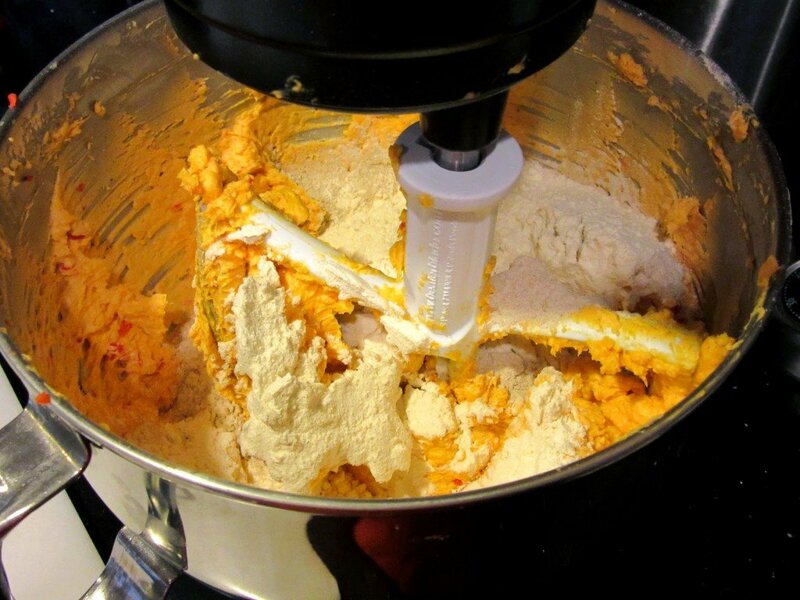 Continue the same process with the remaining half of dough along with the dough scraps that were removed. -Bake in a preheated oven for 18-20 minutes. Remove to cool for at least 15 minutes before moving them to a cooling rack to cool completely. -Serve at room temperature and enjoy! Remember everybody…say CHEESE!!! To see more delicious cheese #TwelveLoaves recipes, please click on all the links below and give them all a little love! 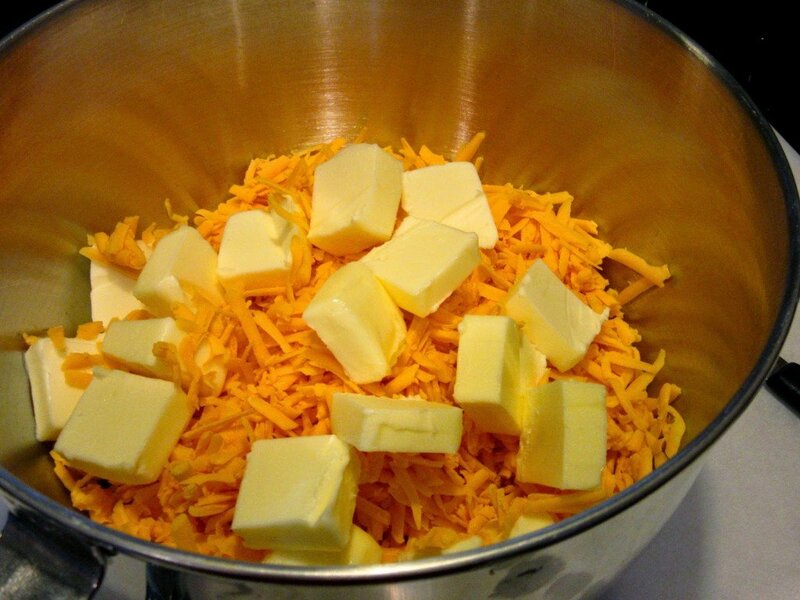 If you’d like to bake along with us this month, share your CHEESE bread using hashtag #TwelveLoaves! Ya’ll come back now, ya’ hear? 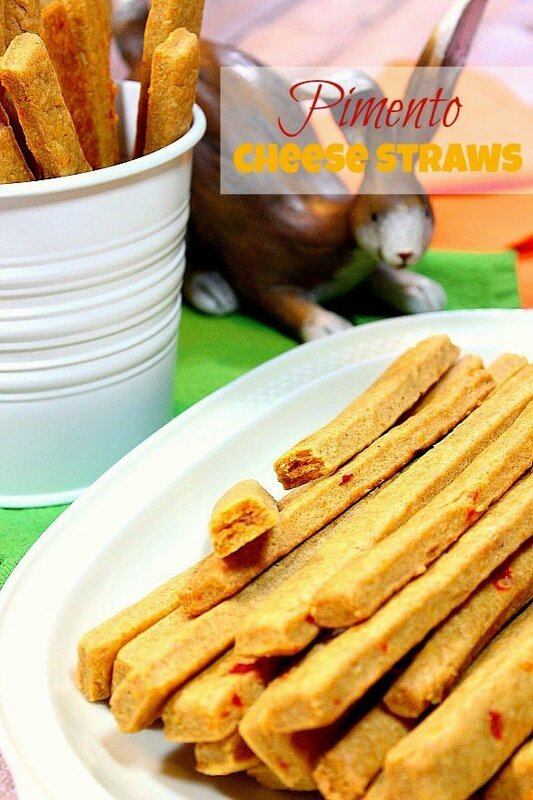 These cheese straws look delicious! This is my first TwelveLoaves event and I have seen the most amazing recipes. I want to make everyone of them! 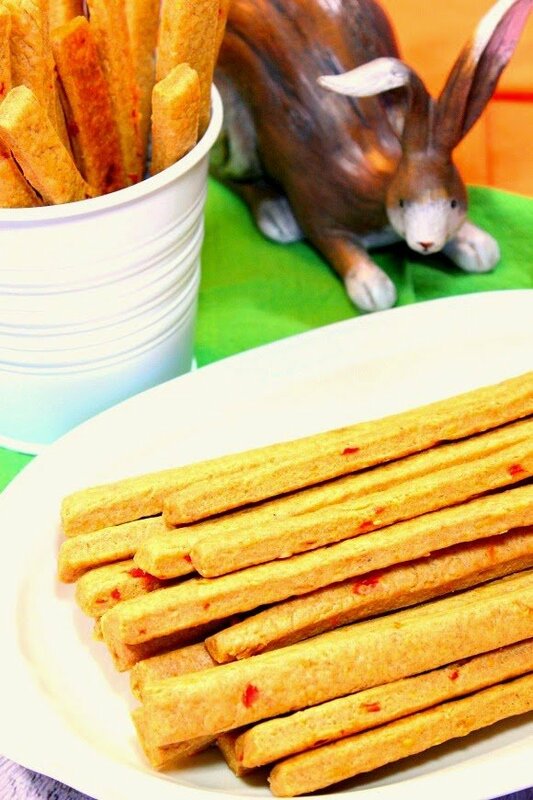 Oh, boy, I love the look of your cheese straws! Perfect party munchie!!! Yum Renee! These looks sooooo tasty! Renee, these look so delicious. I wish I could just reach into my screen and grab one! My bread flopped, so I didn't post. Boo. But I had to make the rounds, drool, comment, and share because bread and cheese are two of my favorites! Always. My mouth is watering while I'm reading this. Must. Have. Now! Wow, do these look good–so many favorite things wrapped up in one. (Making myself a reminder note now so that when I make these I won't forget the pimento like I last weekend when I made the pimento cheese that wasn't.) Thanks for sharing these!